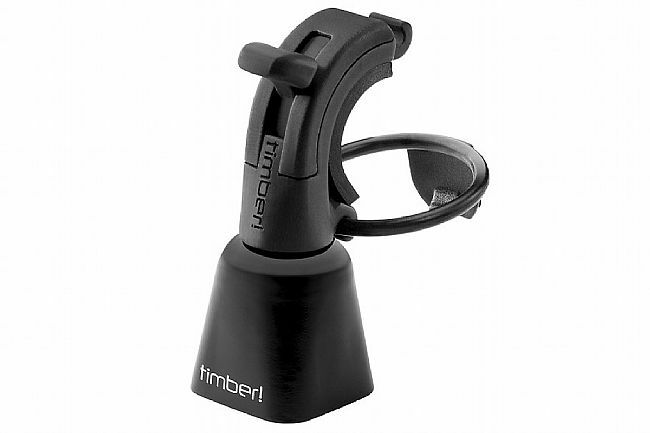 Timber's Mountain Bike Bell Quick-Release Model includes two separate o-rings to adapt to handlebars of all sizes and for easy transferring between bikes. The solid brass bell has a crisp, clean sound and the life of the internal index mechanism (on/off switch) has been improved by beefing up the strength of the internal clapper cable for better performance and a longer service life. You can hear me now!! I really enjoy that fact that you can turn it on and off. Hikers and other MTBer's can easily hear you coming and avoids any potential collision. Really a must add on product for the bike especially with the ability to turn it off when you want no bell noise. This bell is great way to give hikers and animals a heads up that youre coming. Hikers appeeciate the passive warning instead of a sudden surprise. I love being able to passively (you don't have to manually ring the bell) alert my presence to other trail users. The bell immediately starts interactions with other trail users off to a positive start, even with other riders. It always other riders that might be slower to hear you coming and find a safe spot to move over and let you pass. It also alerts hikers that you are coming down the trail before you can see them. And the best part is when you are climbing you can completely silence the bell. The only negative is you need to place it on the bar so in the event of a crash the bell can't smack into your top tube. Aside from this, all good.